This testimony is about Mario Taylor. Nearly three years ago, Mario was sitting about to graduate from the HOPE for Prisoners workshop, ready to move away from his past and explore the future that lay ahead of him. He had just returned home from serving 16 years in prison for homicide. He moved back to Las Vegas to live with his parents. Mario’s grandmother had been raising him in Texas and had instilled values and morals in him that he still leans on today. The home that he came to in Las Vegas did not present him with many positive opportunities. His father and mother were both abusing drugs which left his older brother and himself to fend for themselves. Before long, he was involved in a gang and the lifestyle that came along with it. At 15 years old, he found himself on his way to prison, sentenced as an adult to 20-90 years. When he went to prison, he did not only lose my freedom. Mario lost his hope. He lost his youth. He thought he had lost his future, the rest of his life. After several years of feeling discouraged and defeated, Mario began to realize that there would eventually be another chapter of his life. He left the gang and made up his mind to not look back. Mario obtained his GED and took every opportunity he had to learn. 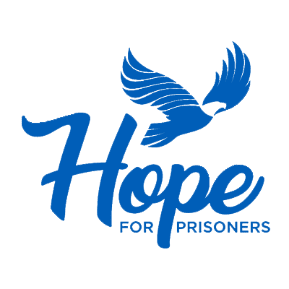 Before he was released from prison, one of the chaplains referred him to the HOPE for Prisoners program. When Mario got home, he came to HOPE and was able to enroll in the program through the Second Chances program through Workforce Connections. During the HOPE for Prisoners workshop he gained some valuable tools that have helped him through the last several years. HOPE for Prisoners gave him his first job. Mario has a strong belief in giving back. He has always been remorseful for the mistakes that he has made in the past, but he does not let his past define who he is today. Mario has an incredible job. He is employed as an electrician apprentice and is attending school to obtain his journeyman’s license. Mario is married to the girl of his dreams, Heather.